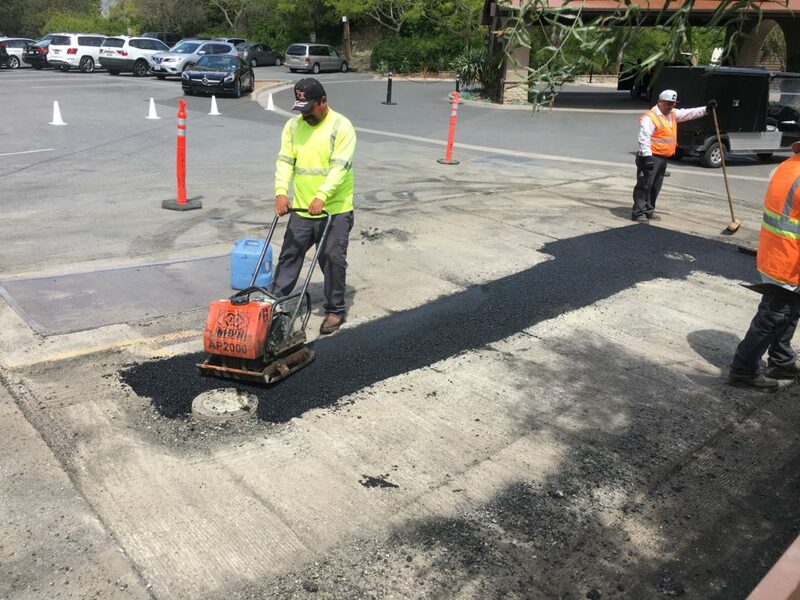 an overlay of an inch and a half was applied using new hot mix asphalt. 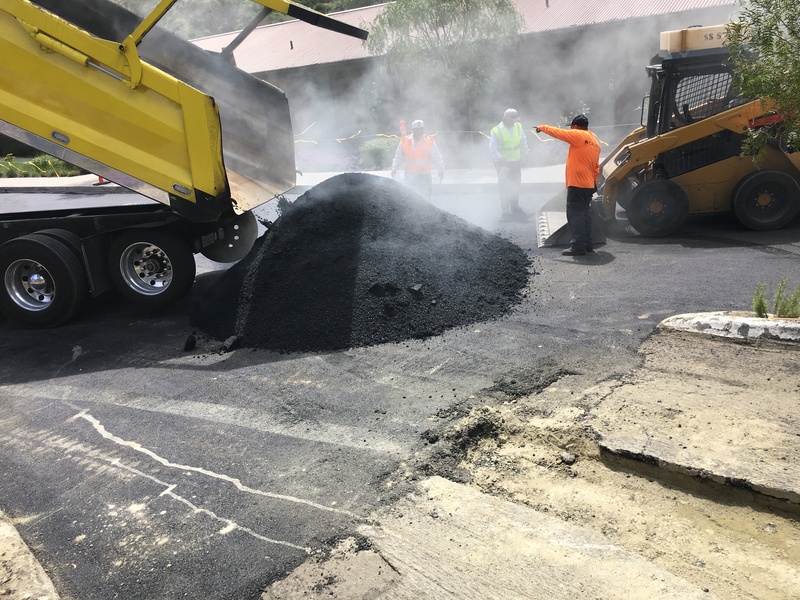 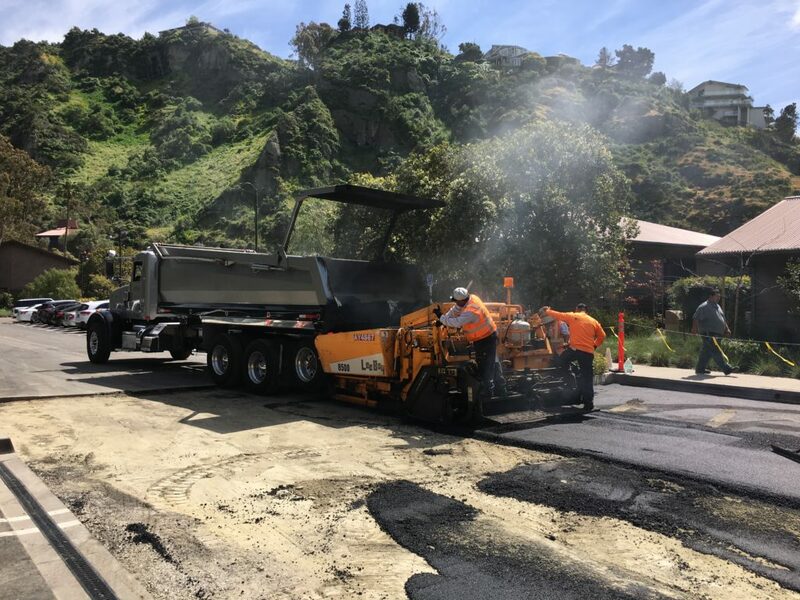 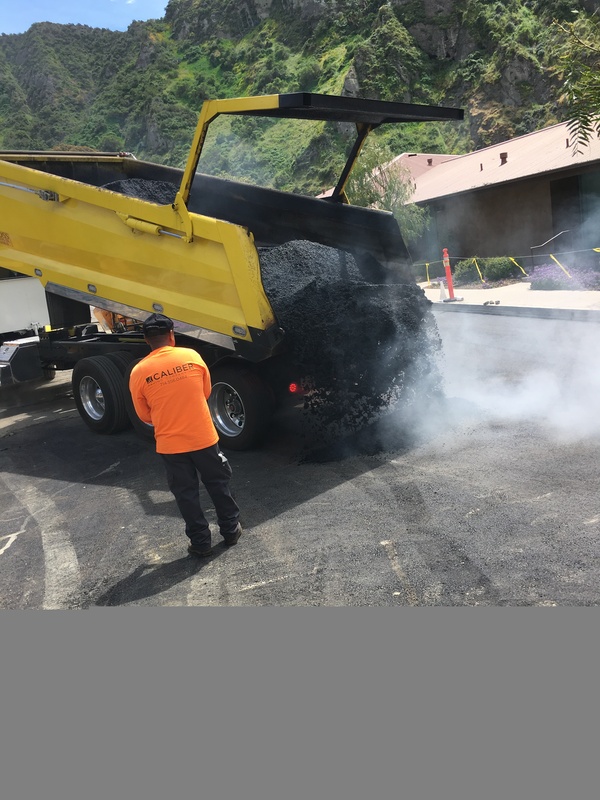 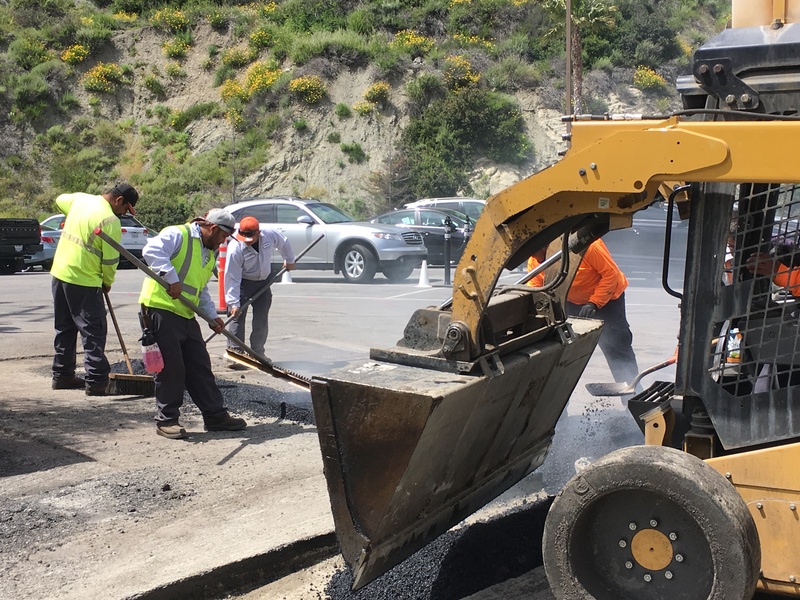 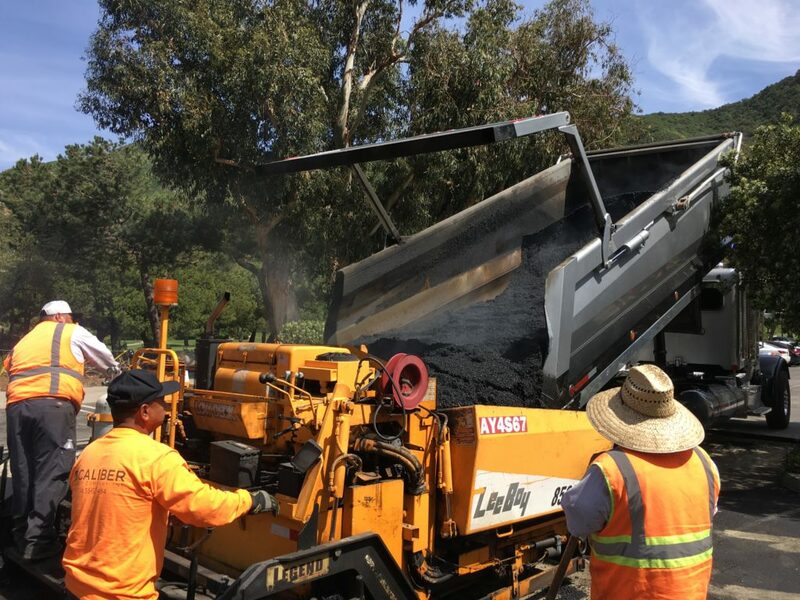 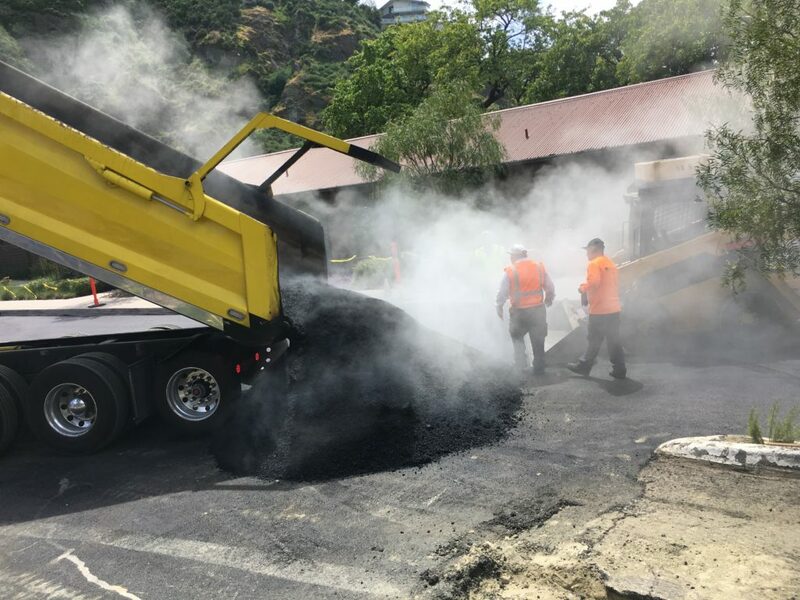 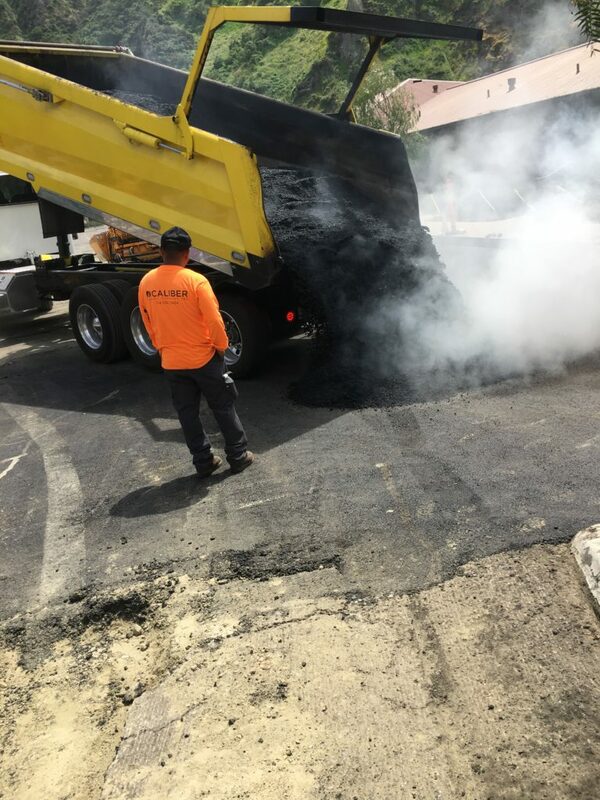 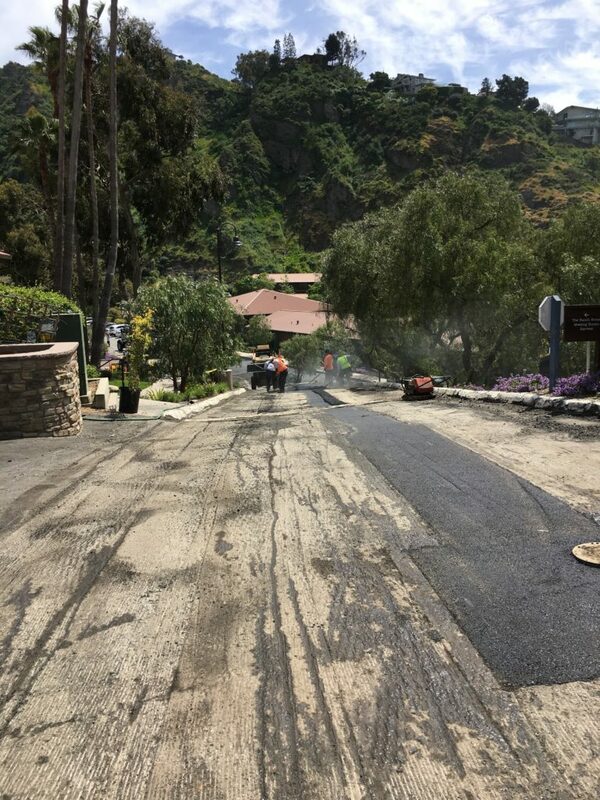 The bottom part of the roadway where the sloped road starts to flatten out had existing damaged asphalt so that was removed to a depth of four inches and replaced with four inches of new hot mix asphalt. After all the new hot mix asphalt was laid the sloped roadway and the flat area was compacted using our double drum rollers to give the new pavement a smooth finish. 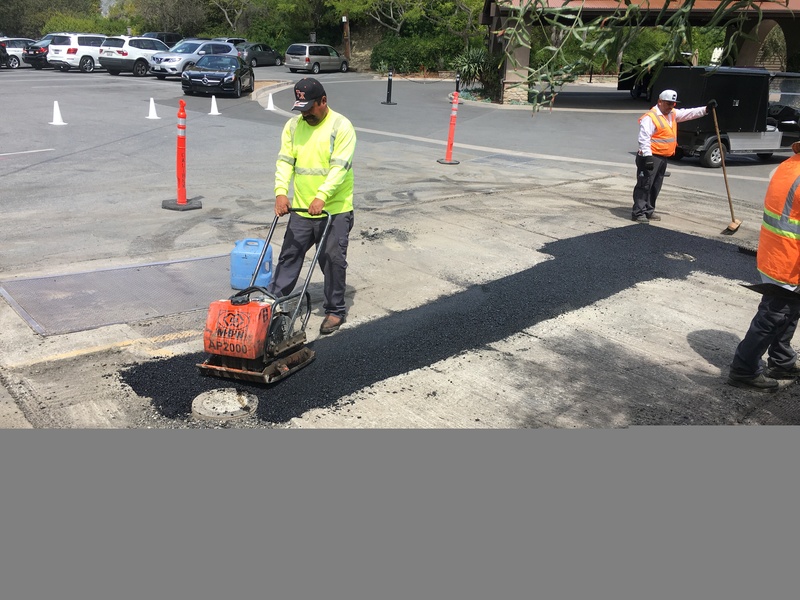 While the main roadway was being tended to various potholes throughout the parking lot were repaired. 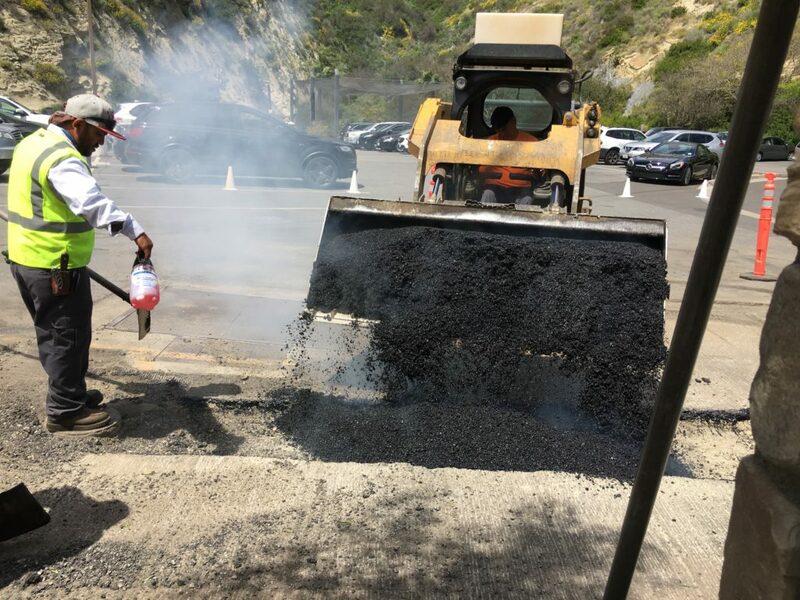 The final process of striping back any affected areas was completed along with painting fresh white curbs to top it off. 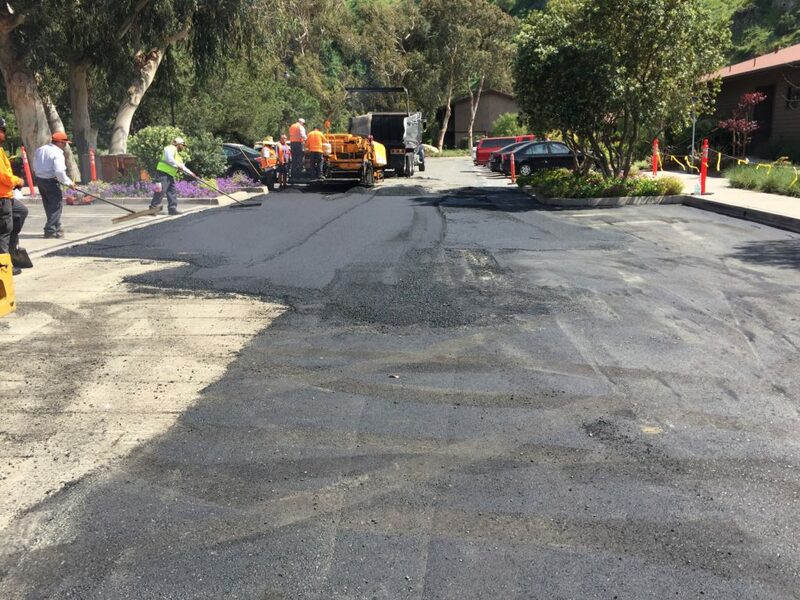 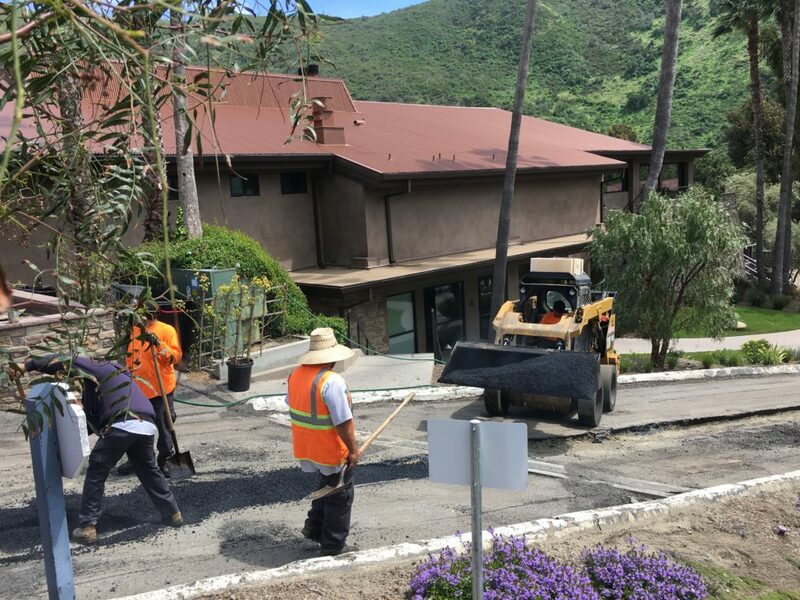 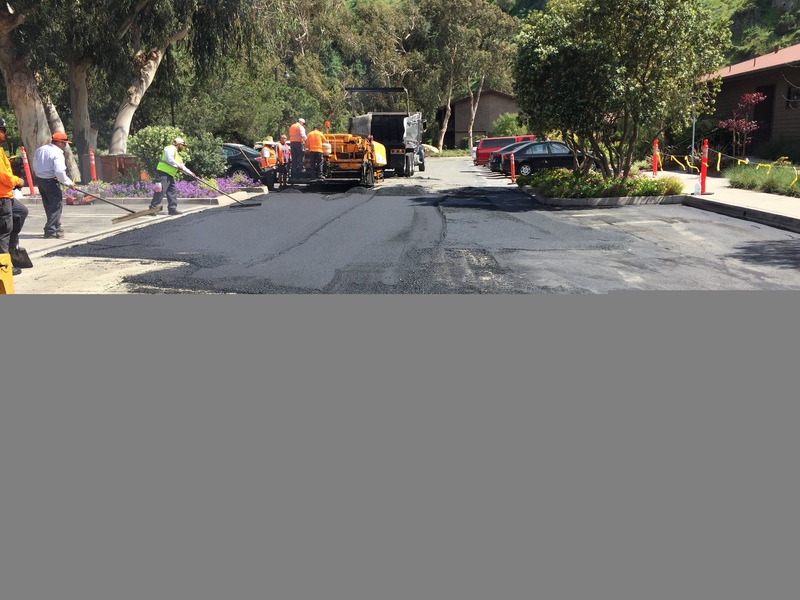 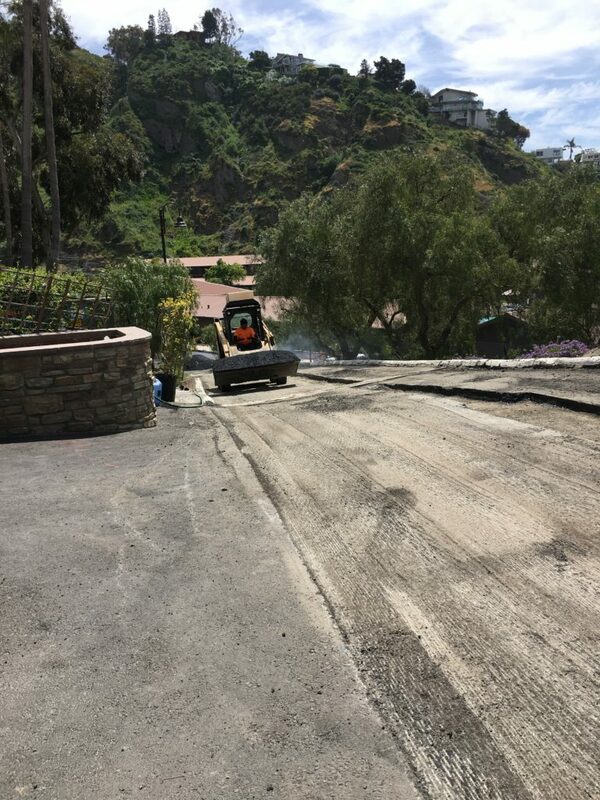 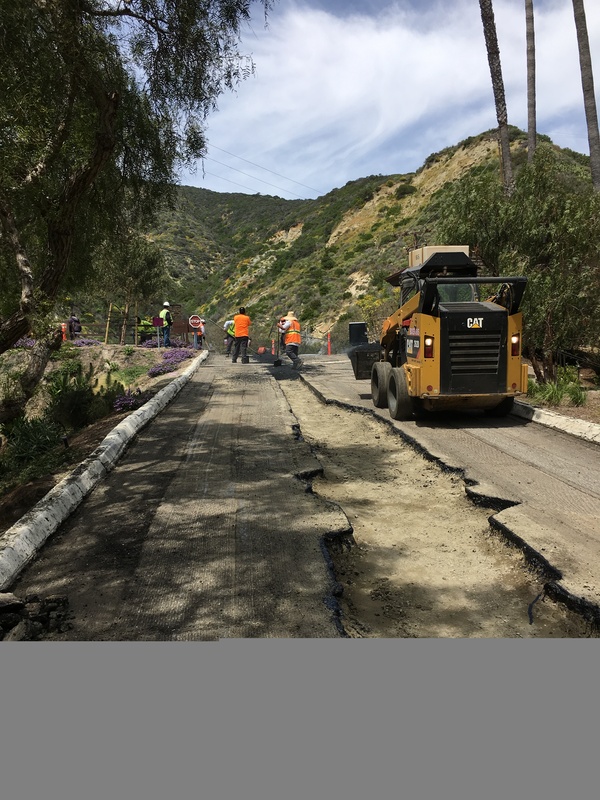 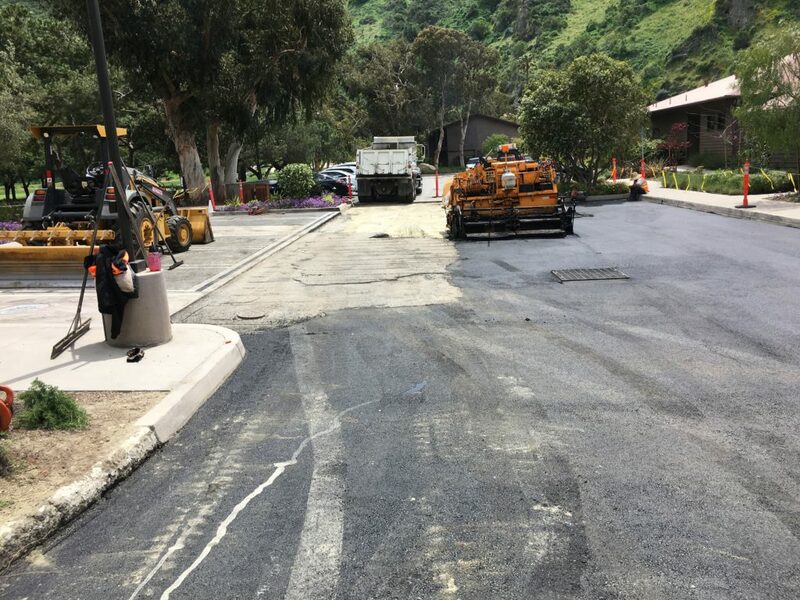 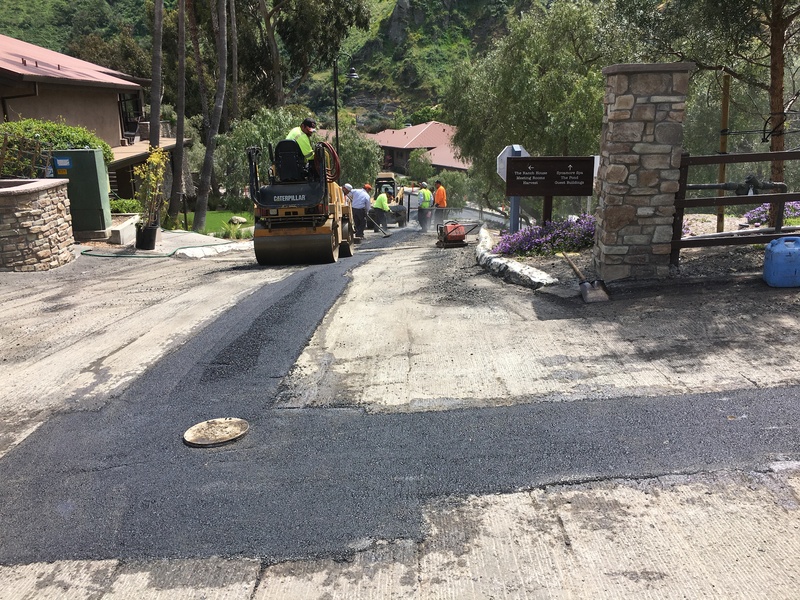 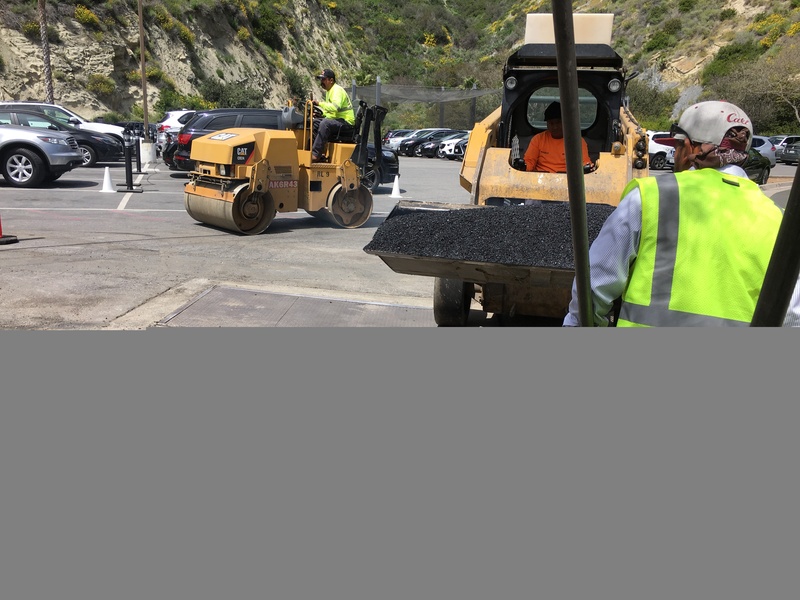 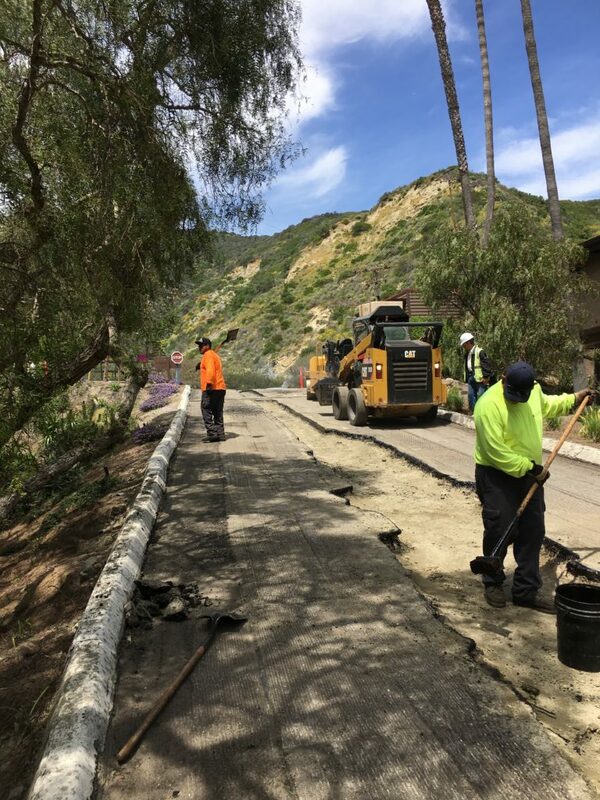 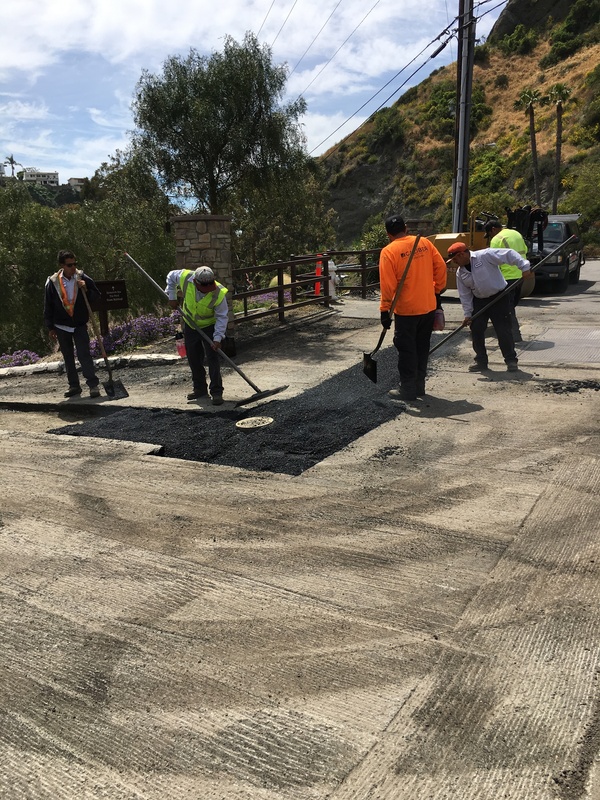 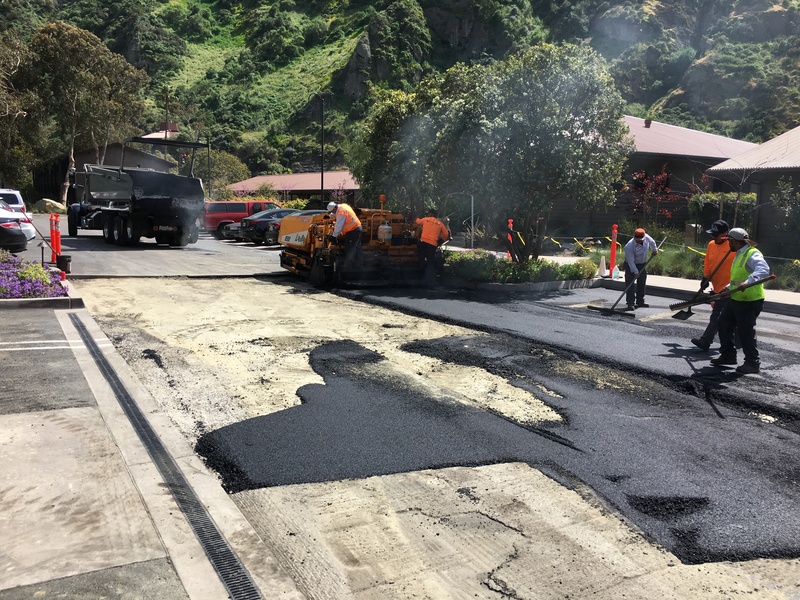 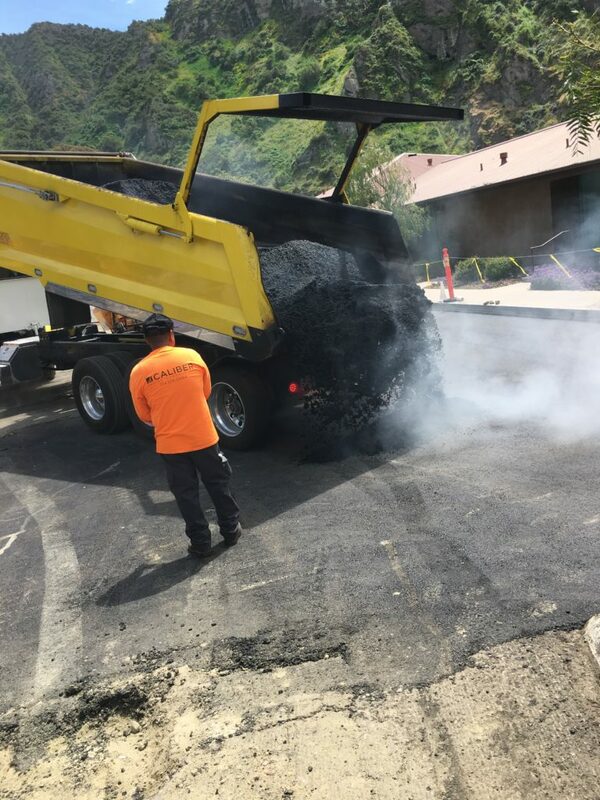 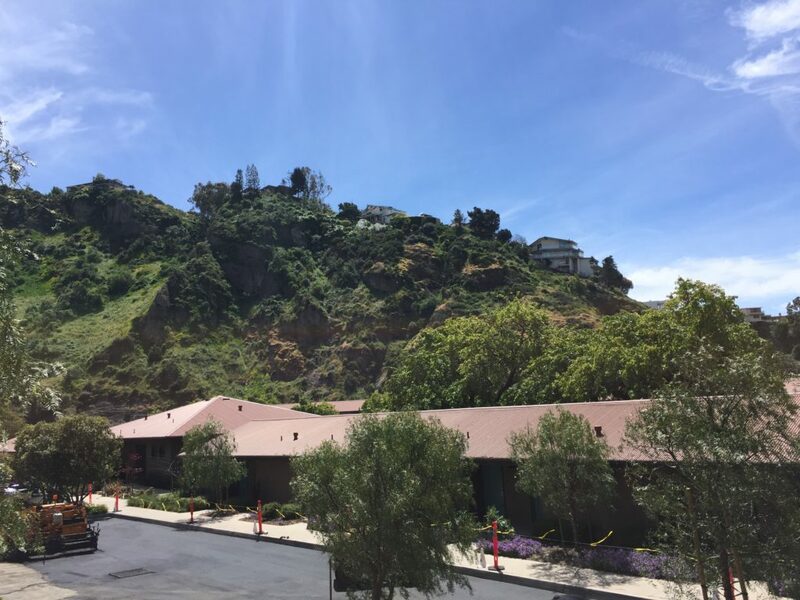 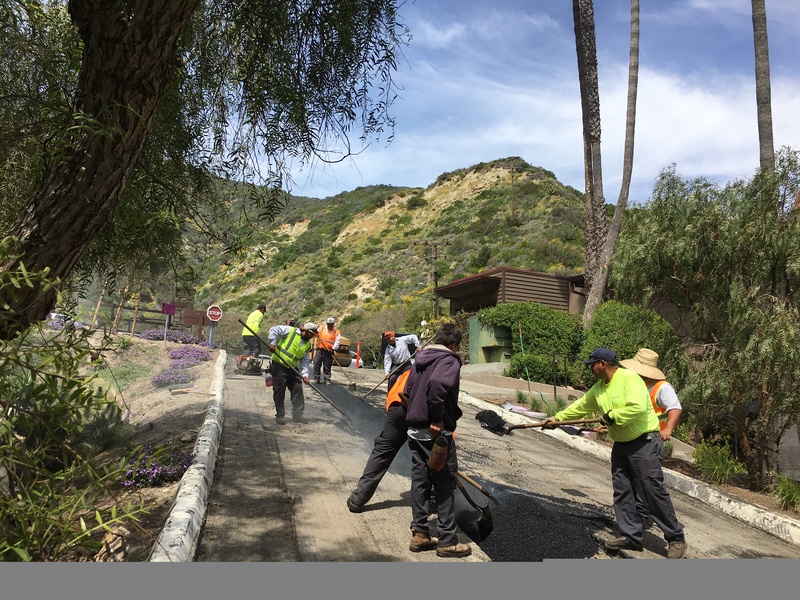 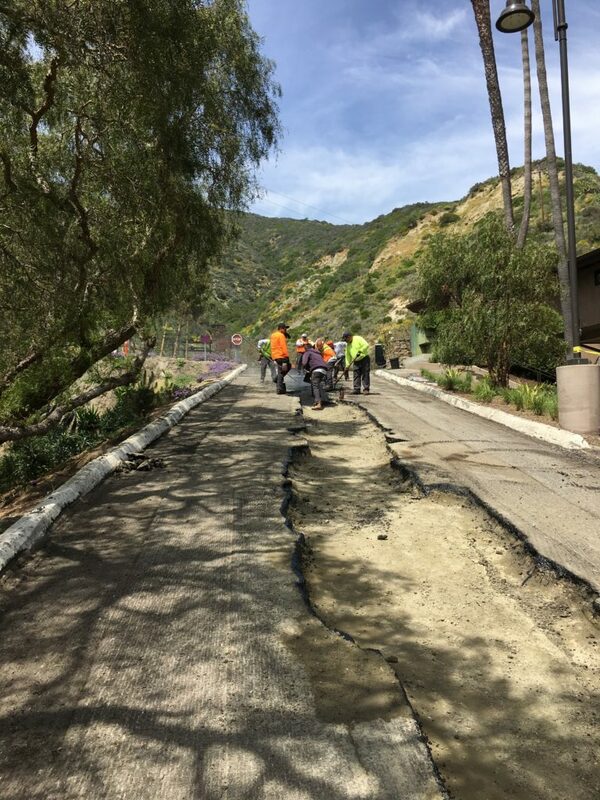 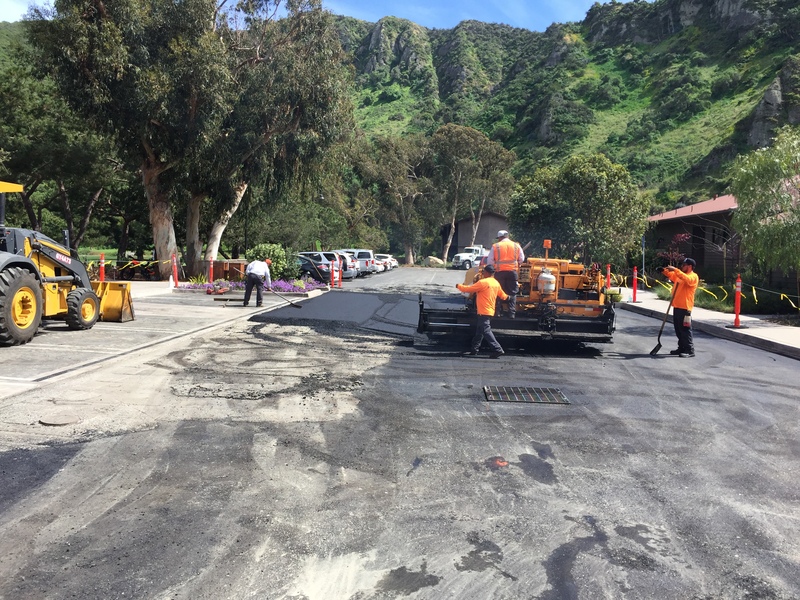 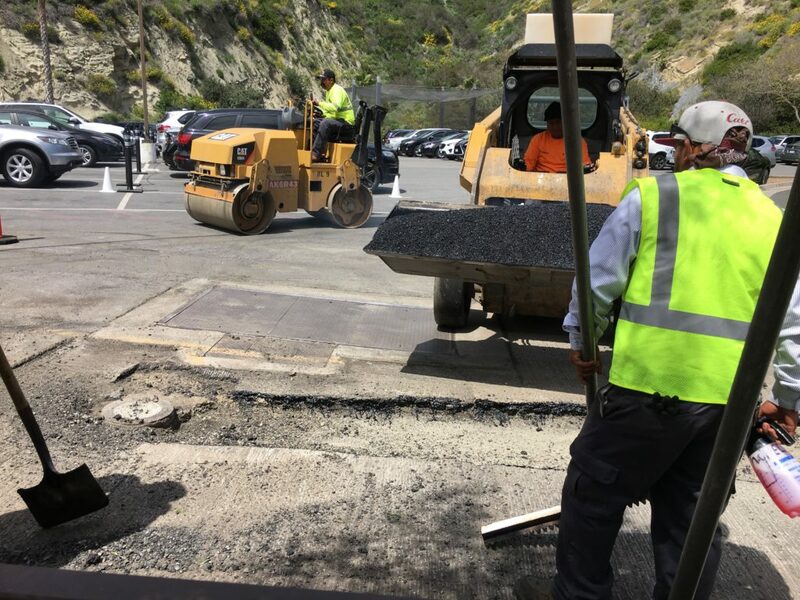 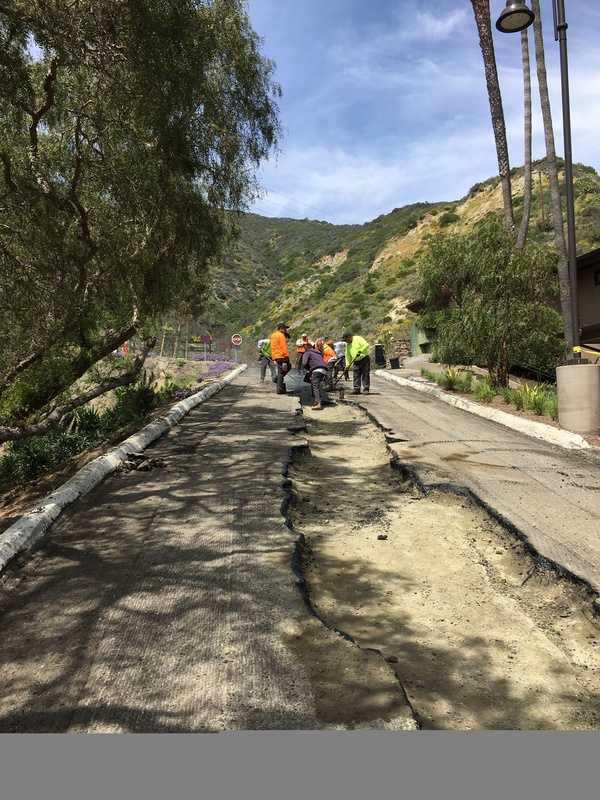 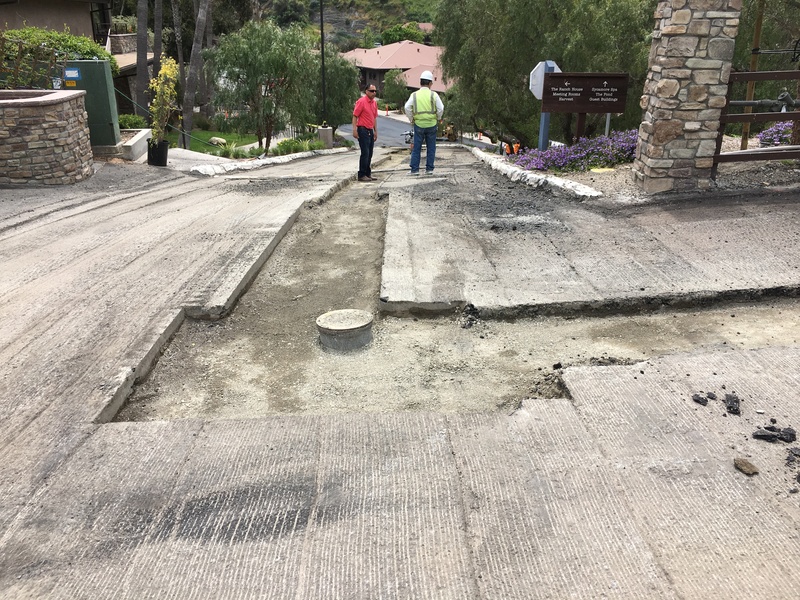 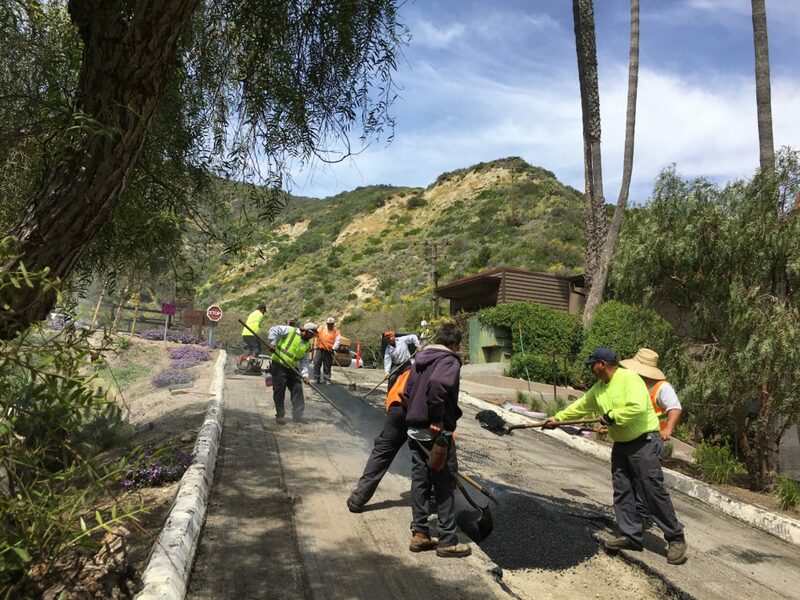 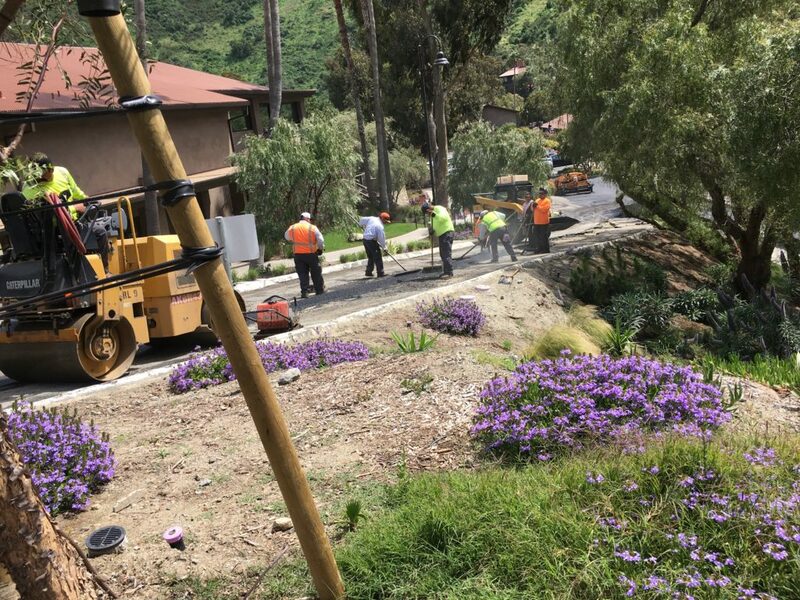 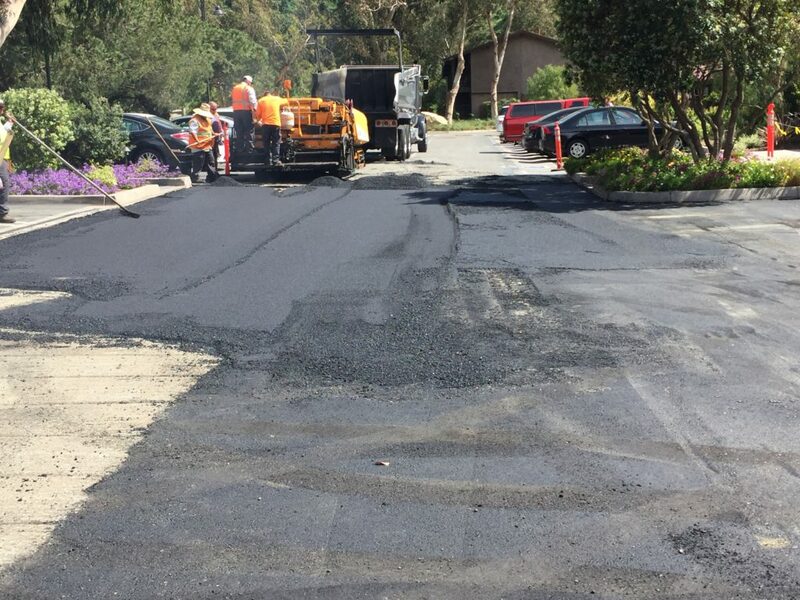 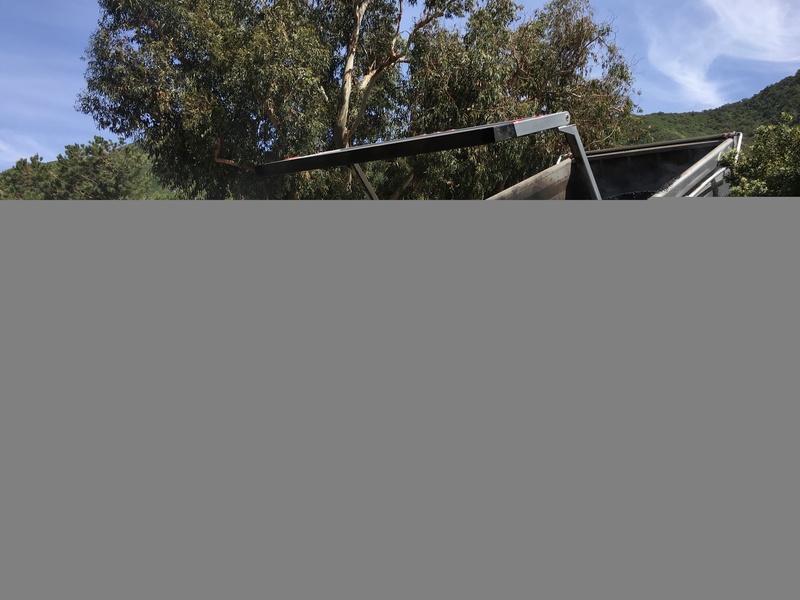 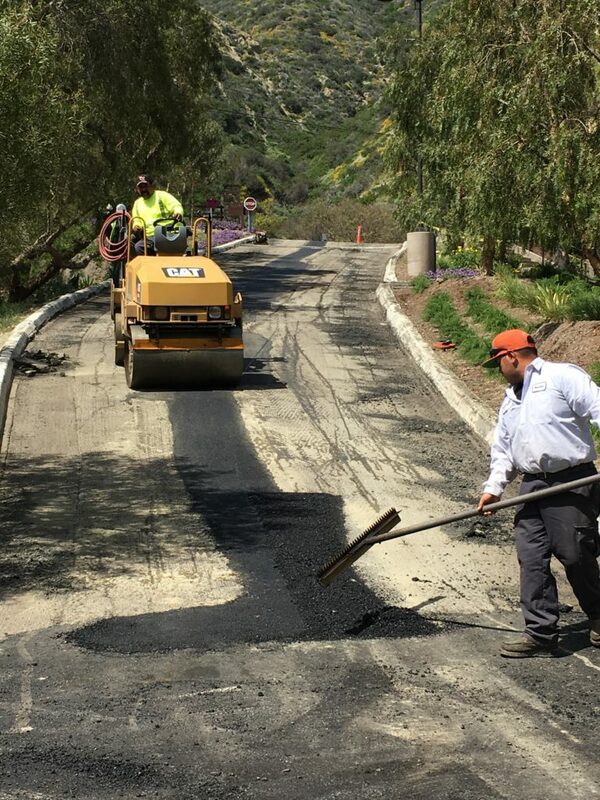 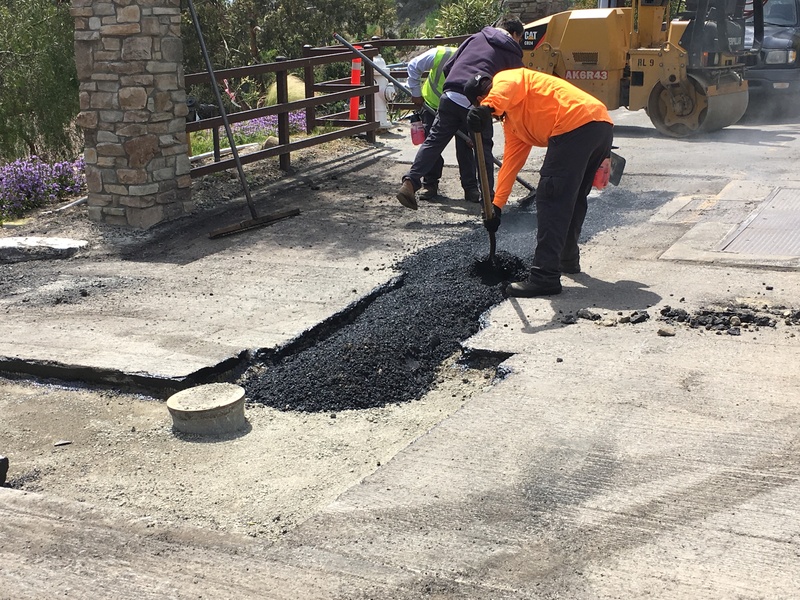 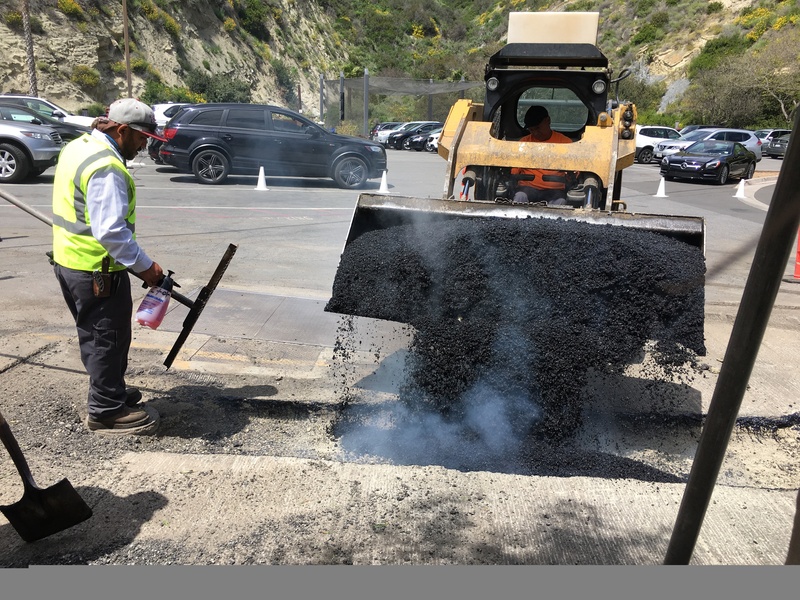 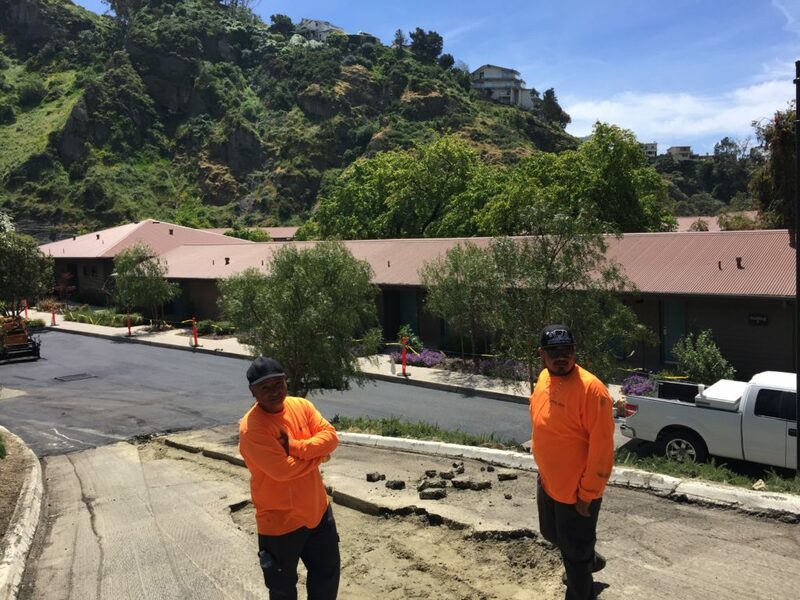 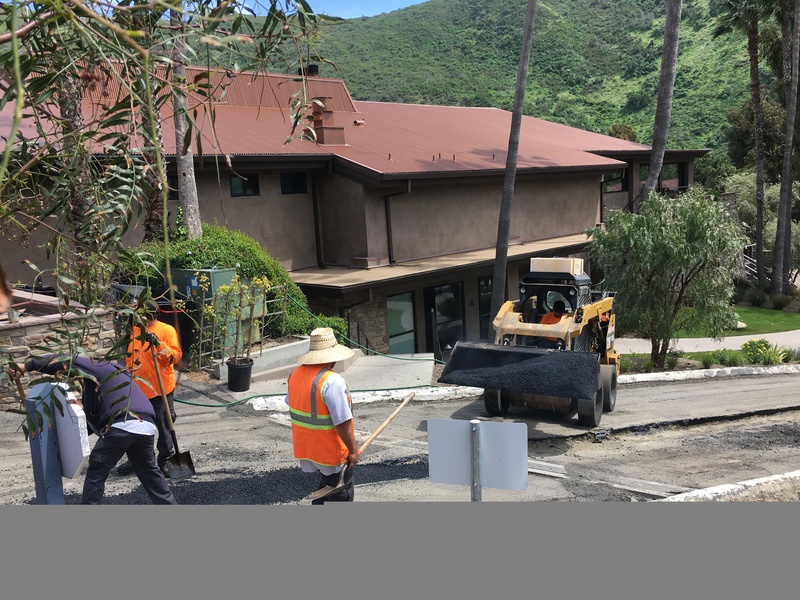 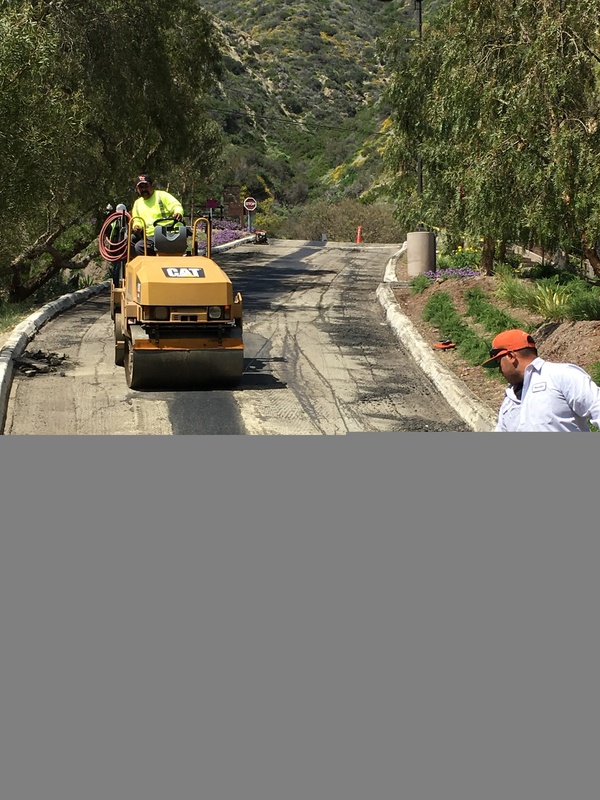 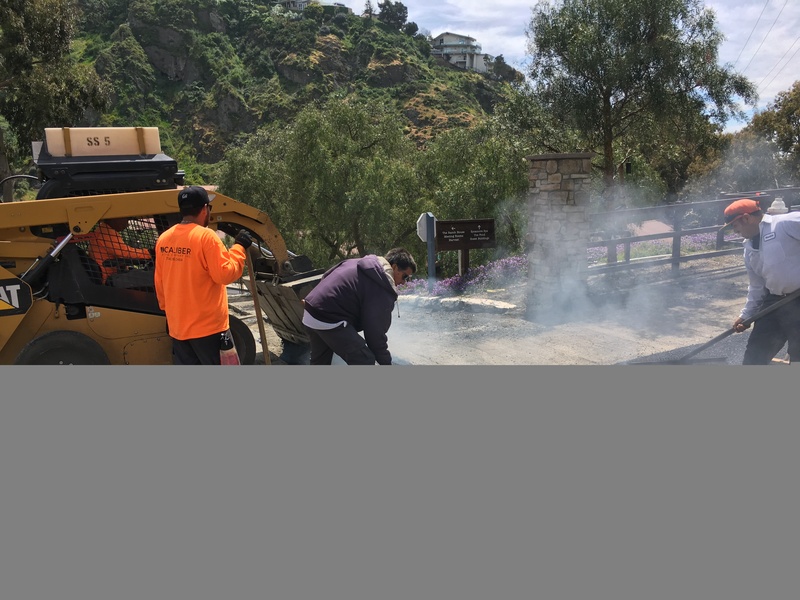 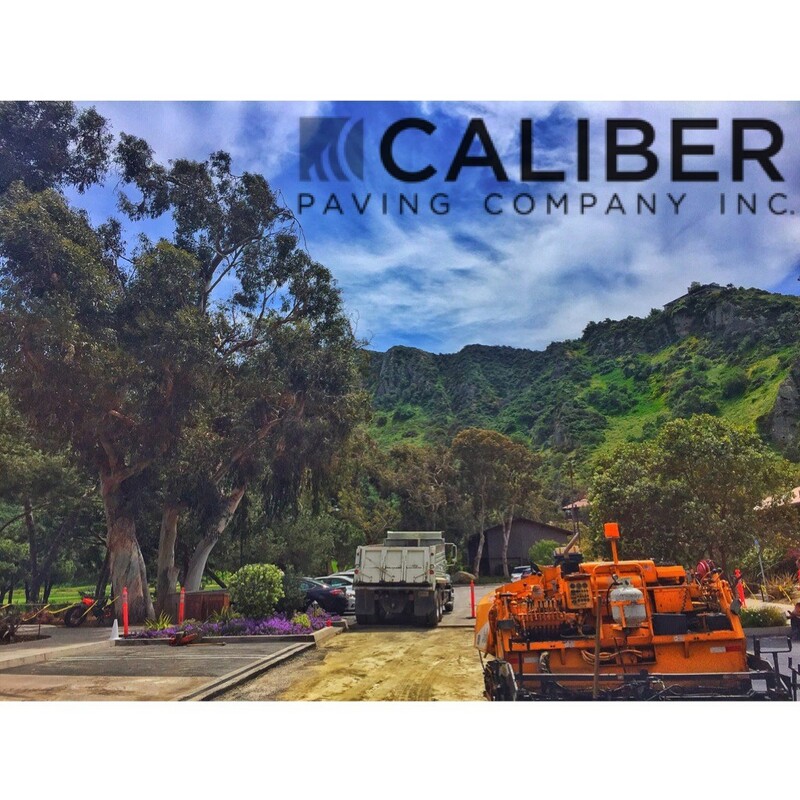 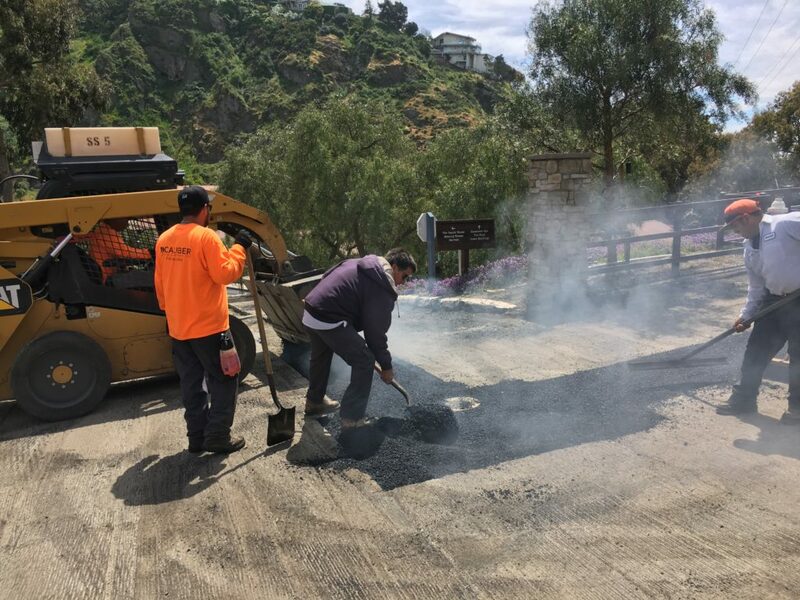 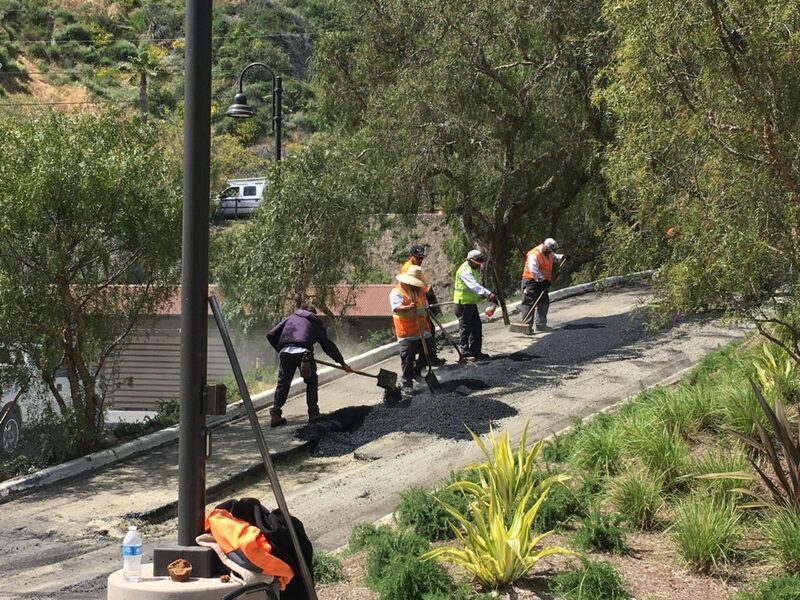 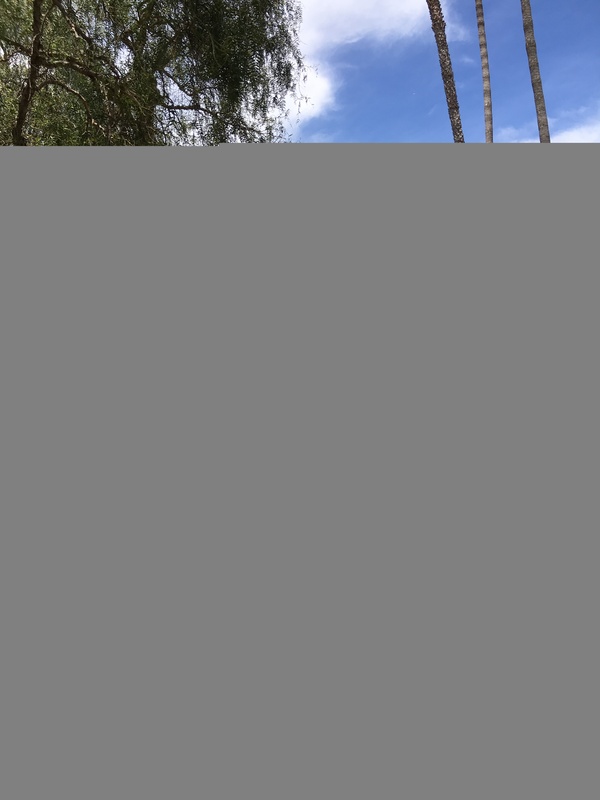 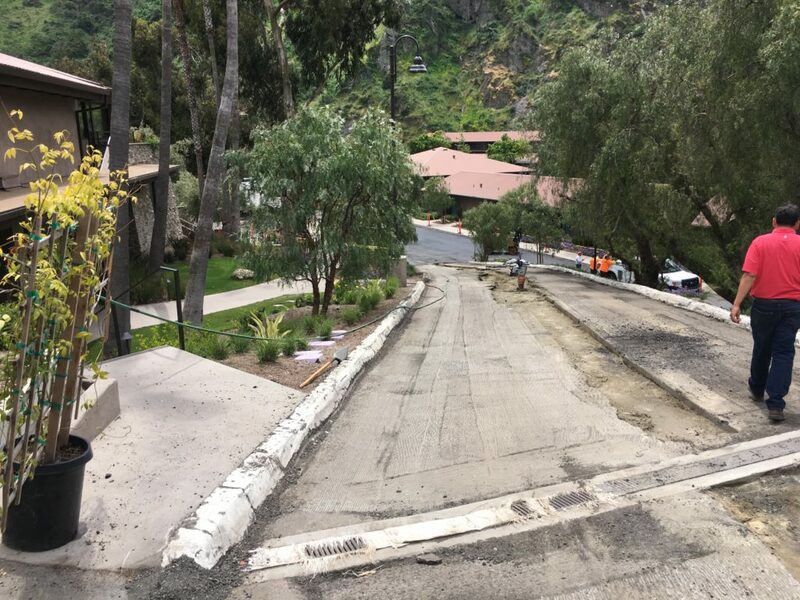 Shout out the members of our Caliber crews that did an amazing job to improve the roadway and parking lot that leads to the coastal Ranch Hotel and Spa located in the serene and natural canyon in Laguna Beach.